On the sunny side of a small hamlet in the midst of greenery and tranquility, we are selling intermediate terraced house in lll. Construction stage built in 2008. According to the project there will be two apartments. One on the ground floor, another duplexs in the 1st. and attic. All the documents has been prepaired. Water and electricity are on the plot. The access is regulated with the private road. It is possible to still buy the attached house and land. In accordance with the Energy Act (EZ-1, Article 334 (4)), the owner will at the viewing (because the house is sold before the acquisition of an operating permit), submit all the construction documentation and a statement of the energy performance of a building. You are Welcome to view the property! Hello! 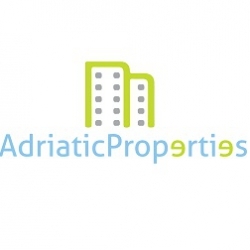 I am interested in this property at this link http://dom-slovenia.ru/index.php/real-estate/83240-sale-house-town-house-coast-and-karst-izola-korte. Greetings.